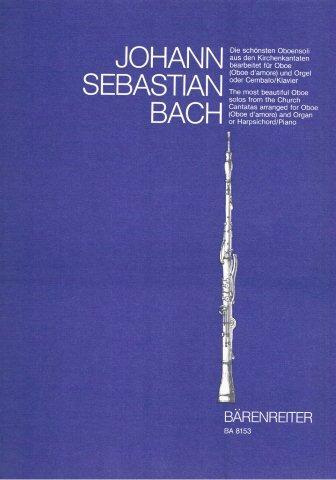 The numerous orchestral passages from Bach�s cantatas in which the oboe obligato is prominent, show how well Bach composed for the oboe. In order to make it possible for individual oboists to play these passages with keyboard accompaniment, this edition reproduces the respective passages in piano reduction. The movement from BWV 76, which was composed for oboe d�amore , is printed in its original form as well as in version for oboe and therefore does justice to both instruments. All movements can be presented without hesitation as complete performance pieces in the classroom, for concerts, and church. Sinfonien aus: Kantate 156 "Ich steh mit einem Fu� im Grabe"
Kantate12 "Weinen, Klagen, Sorgen, Zagen"
Kantate 21 "Ich hatte viel Bek�mmernis"